Photography is an art form. While a modern art form, photography can still capture or inspire emotion. However, there’s more to photography than just pointing the right camera at the right location in the right lighting. In other words, even after you’ve clicked the perfect image, you need to reproduce it on paper for your photograph to look nice. This means learning about different types of photo paper and how to use them. While you need to pay attention to the quality of the ink you’re using to print your photos, even the best ink wouldn’t create the right effect if you’re unaware of different types of photo paper. In fact, even if you’re just clicking photos of your family to memorialise good times, you need an understanding of the different types of photo paper to truly get the emotions of the moment to reflect on the paper. 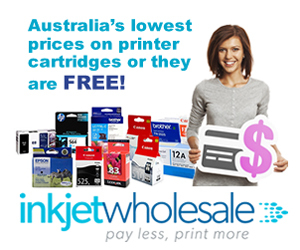 At Inkjet Wholesale, our goal is to make sure that you get the best out of your printers. Offering high quality printer cartridges at affordable prices is one part of that goal. 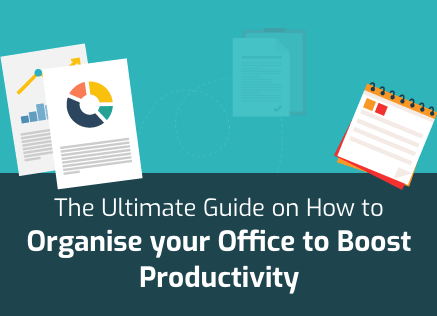 The other part is to educate our customers on how they can get the best out of their printers. The following is a small brief on the different types of photo paper and what you can expect from them. You could use any number of factors to categorise and group different types of photo paper. Many of these factors include thickness, whiteness, or even brightness. However, the most common is surface finish. The first thing most people have to consider while buying photo paper is the different types of photo paper available. In terms of surface finish, there are mainly seven different types of photo paper. 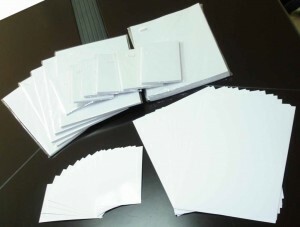 It is important to understand that some manufacturers have created different names for these kinds of paper but even if different names are used the type of photo paper remains the same. 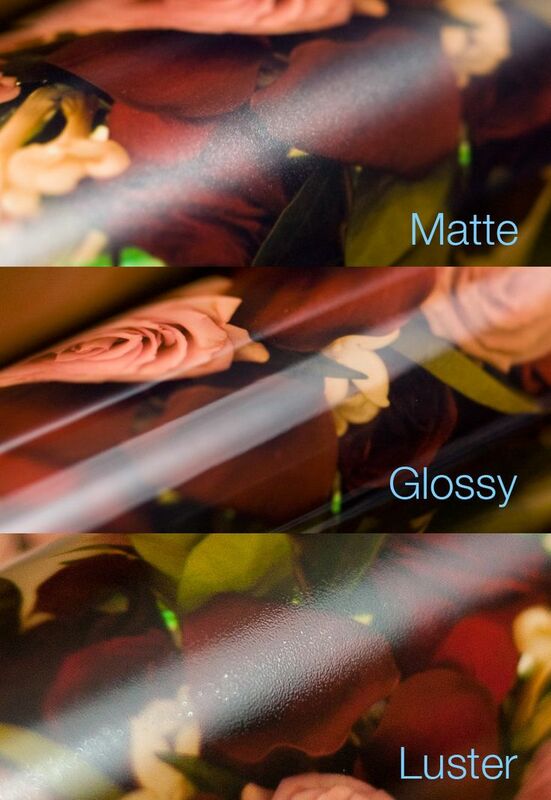 Glossy is easily the most common surface finish amongst all the different types of photo papers. The vast majority of photographs are printed on this type of photo paper. Glossy photo paper is also very easy to recognise. Glossy photo paper will have a distinct shine on one side. This shine is what makes glossy photo paper so attractive to people. This photo paper is also known for producing rich and vibrant colours. However, this gloss makes this type of photo paper susceptible to fingerprints. For instance, if you’re not careful, you’ll end up leaving distinct marks on the photo just by handling it too much. This is why glossy photos are supposed to only be held by the sides. Amongst all the different types of photo paper, glossy paper is the only one that tends to reflect light in a way that the photo becomes unclear. If you tilt glossy paper in front of direct light or sunlight, you’ll see reflections similar to shiny metals or glass. This type of photo paper is also not good for framing because the gloss on the paper and the glass from the frame combine to create even more reflections. Glossy photo paper is best for printing everyday shots that you just want to share amongst friends. It’s also important to remember that within this category photo papers with different levels of gloss are also available. You can find high gloss, low gloss, semi-gloss (satin) and many others. Matte photo papers are primarily used in industrial settings for two reasons. The first is that they don’t have any gloss whatsoever and the other is that they are resistant to smudging and fingerprints. Another reason why you might want to pick matte over all the different types of photo paper is that they produce greater contrast largely because the colour black shows up well in them. However, the downside of matte photo paper is that the other brighter colours get subdued. This can reduce the colour saturation, matching, and quality of the final image. You should use matte photo paper if you foresee reflection and fingerprints being a problem. If you want to print and frame your photos, then you shouldn’t look farther than canvas when considering different types of photo paper. Canvas, in fact, is one of the top choices for displaying artsy images amongst professional photographers. This photo paper is similar to matte in terms of look with the exception that it shows better colour and contrast. Essentially, canvas photo paper can be seen as a more colour efficient version of matte photo paper. The only flaw of canvas paper is that it is textured. This means that in certain types of lighting and angles, bumps can become evident on the surface. Art photo paper is another great option if you plan on displaying your photographic works to the world. Art photo paper as the name suggests provides the classic textured look to your photos. The look can be equated to what water colour paper produces. 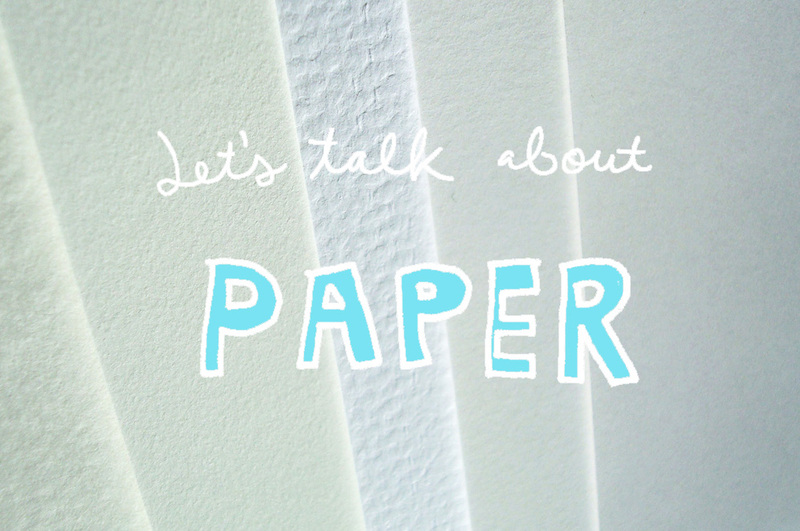 There are many different types of photo paper within the art category as well. The options available vary in terms of tone of paper (beige), contrast of colours, textures, and even colours. Pearl or lustre as these photo papers are often known are semi glossy photo papers except for the fact that they have a textured feel. Pearl photo papers are high quality products that combine the qualities of matte and satin photo papers. However, pearl photo paper is an upgrade on both matte and satin as they provide better contrast and deeper colour saturation than all other different types of photo paper. Pearl photo papers don’t promote reflection which makes them ideal for high end framing situations. As a result, pearl photo papers are more expensive than most other types of photo paper. If compared to different types of photo paper, metallic photo papers can be said to be produce the glossy look albeit with a metallic tinge to them. These photo papers often give chrome like appearance and can provide high quality sharpness and clarity to the image being printed. The end result of using metallic photo papers is that your image will tend to stand out of the paper so as to look more appealing and dimensional in nature. Like pearl photo papers, metallic photo papers are also designed for high end uses. Now that you know a little about all the different types of photo papers you can use, you can see that they all have their own advantages and disadvantages. What this means is that there’s no single photo paper that can be said to be the best. All the different types of photo papers have their uses. Effectively, if you’re looking to get new photo paper, it might be a good idea to try out samples from vendors before making up your mind on any single one. This will not only help you choose the best photo paper for your specific application but also give you a more rounded understanding of different types of photo paper. Is there such a thing as unscannable photo paper??? There are, indeed, specific types of paper that cannot be copied. These are anti-copy, copy-proof, or unscannable paper types (there could be other names depending upon the seller). These are highly specialised types of papers based on a specific type of technology. If you try to scan such prints and then reprint the same, then you’ll see a huge watermark on the new print. There are a few sellers out there that you can use but you’ll have to look for security focused companies. Do you know if they make any photo paper that I can hand color on?? I would normally use a fiber-based paper back in the day and use my Marshall oils but I’m going to try to find a paper that I can use in my printer do you have any suggestions? Thanks for your comment. I think this is a query that our support team will be able to answer better. They may even be able to source what you need provided it is available. You should put in a query on our main website.